Star Wars has always been a huge interest of mine, having seen all the movies countless times as well as the TV Series, and the books related to the franchise; obviously I was excited to hear the announcement of a new Star Wars movie. I bought opening night tickets, and it was a stellar experience. An initial concern for me was Disney's acquisition of Star Wars, and fear that it would make the franchise childish. Though this impact is arguable with the animated series Star Wars Rebels, The Force Awakens had about the same tone as A New Hope with a little more comic relief than you would typically expect from a Star Wars movie. This did not extend past little jokes characters would throw at each other, and at times were oddly placed. The characters were phenomenally well written with an incredibly talented cast of new actors who compelled the emotions of their role so perfectly. Finn (John Boyega), Rey (Daisy Ridley), and Poe Dameron (Oscar Isaac), are the main protagonists in The Force Awakens; each providing a unique character that seems so full, not a watered down version of the same characters. All of the characters have a unique personality behind them with their own individual traits and conflicts. In the past, Star Wars has had a problem with creating characters that feel forced, or that people just do not care about; The Force Awakens is the exact opposite with its phenomenal characters and astounding actors. The First Order, 'the bad guys', were a little different. 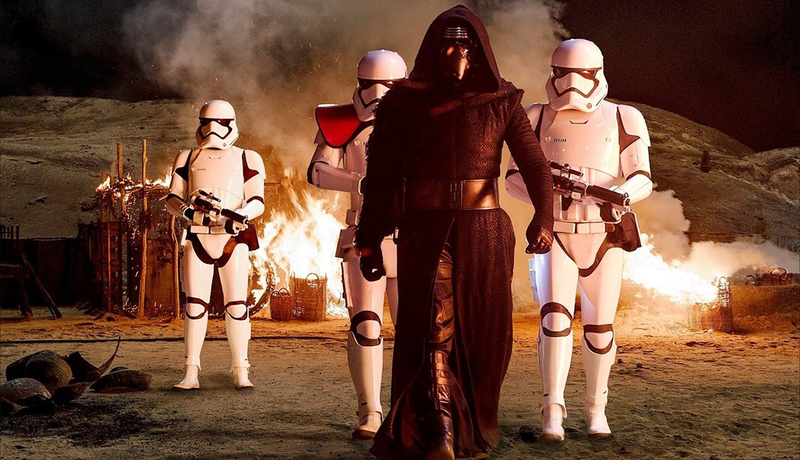 Kylo Ren (Adam Driver) and the First Order Stormtroopers, who rarely missed, were an incredibly menacing force. Some parts of the plot felt like repeats of previous plots in Star Wars, almost as if it were a redo of Episode IV: A New Hope. I will not talk about why that is in fear of 'spoiling' the story; but if you have seen A new Hope, the similarities between the two movies will be blatantly obvious. That being said, those similar plot aspects were only pieces of a much larger plot in the story. The environments were more vibrant and authentic looking in comparison to the already immersive Star Wars Universe. 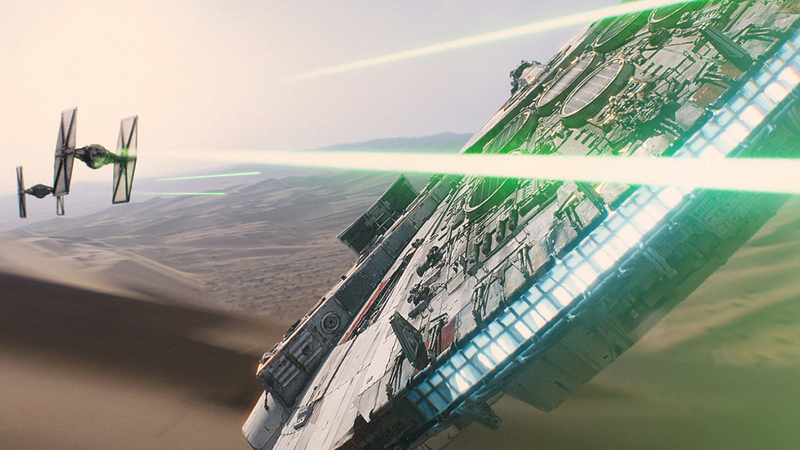 The Force Awakens only focuses on four planets, but each of these planets felt unique and eccentric in their own way. Cinematically, it felt immersive throughout action sense, while during some scenes, it was difficult to understand what was going on. This was an issue with some of the lightsaber fights in other movies. The orchestra score for The Force Awakens is the same level of brilliance fans have grown to expect from John William's talent, certainly contributing to the movie's atmosphere. Star Wars: The Force Awakens feels like a complete installment to the franchise; offering a unique story that stands on its own. They placed references throughout the movie to previous episodes I am sure fans would appreciate. I wish the movie had more politics like in the prequels, which is my unpopular personal opinion. Unless you have an antipathy for the Star Wars universe or futuristic movies, you will likely enjoy this movie.